Our goal, just like yours, is to see these communities flourish both economically, and socially. The focus of the community fund is healthcare and education within our communities. 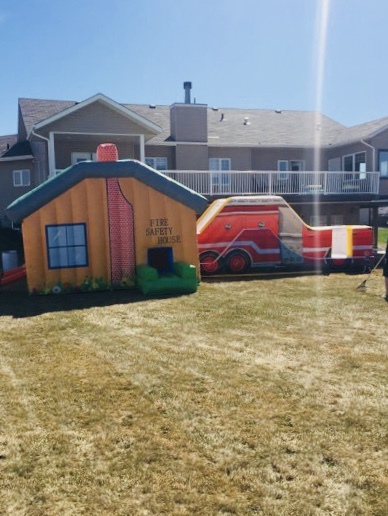 "Beaver Emergency Services Commission is very excited and pleased to have received funding from Providence Grain Solutions – Community Fund. 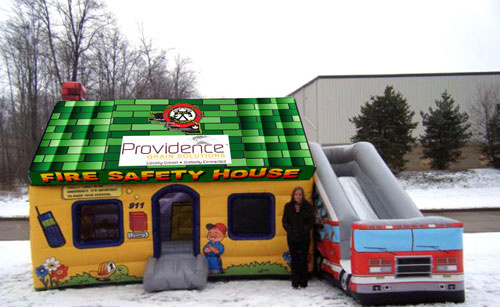 The purpose of the Educational Firehouse is to promote fire safety; it has 3 rooms set-up as if it were a home. The first room you walk into is the kitchen. It has a refrigerator and stove. This is where the safety presentation starts. The second room is a living room with a fireplace. 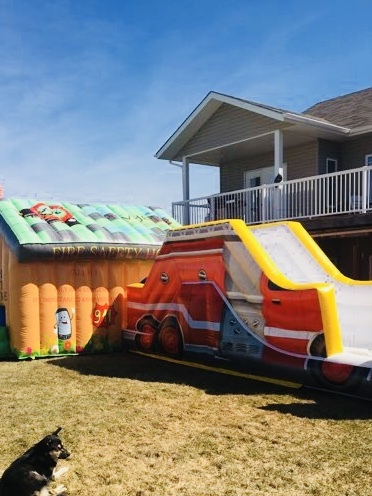 The third room is the “escape room” that features a window that allows the kids to climb out & jump to safety onto an inflated landing pad outside the house, an additional piece to the educational house is a fire truck slide for the kids to climb and slide down for more enjoyment. 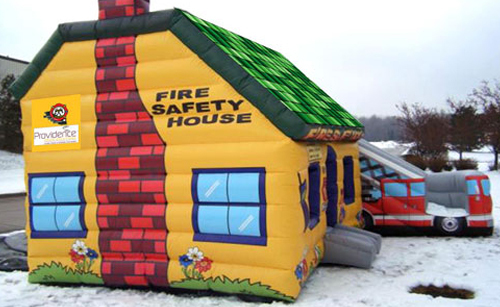 Children walk through & have fun learning proper in-home, fire safety. 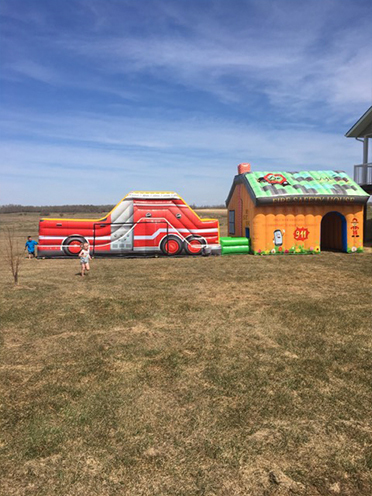 The Fire departments throughout Beaver County will use our house to promote fire safety education and provide fun for the children. Without the generous support of Providence Grain, this project would not have been possible."